The third annual UNCF Mayor’s Luncheon will be held on Tuesday, July 26 at the Newport News Marriott at City Center. The event brings together Virginia’s business, civic and education leaders who support UNCF’s efforts in providing quality education for minority students. The third annual UNCF Mayor’s Luncheon will be held on Tuesday, July 26 at the Newport News Marriott at City Center. The event brings together Virginia’s business, civic and education leaders who support UNCF’s efforts in providing quality education for minority students. Dr. Michael L. Lomax, UNCF’s president and CEO, will be in attendance. 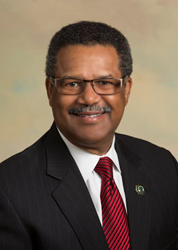 Newport News Mayor McKinley L. Price will deliver the keynote address. “As higher education becomes the standard rather than an option, it is our responsibility to keep college tuition affordable for talented young men and women,” said Price. For over 15 years, more than $17.5 million has been awarded in scholarships to students in Virginia, the home of five historically black colleges and universities: Hampton University, Norfolk State University, Virginia State University, Virginia University of Lynchburg and UNCF member-institution Virginia Union University. Events such as the Mayor’s Luncheon are vitally important in providing the necessary resources for Virginia students to get to and through college. Sponsors of the luncheon include Dominion Resources and Geico.